First up is a performance at the Royal Festival Hall on 23 June as a part of Southbank Centre’s Refugee Week activities. Newham Music and Counterpoints Arts ran a series of spoken word workshops in local schools exploring themes of refugee journeys, gang violence, and place-making to create new narrations as a part of the Newham Word Festival. These new additions will premiere at a free Refugee Week performance at the Southbank Centre, featuring over 200 Newham children and young people. Newham Music and Lister Community School have also been selected to bring highlights of Full Circle to the Royal Albert Hall in November as part of the Music for Youth Proms. 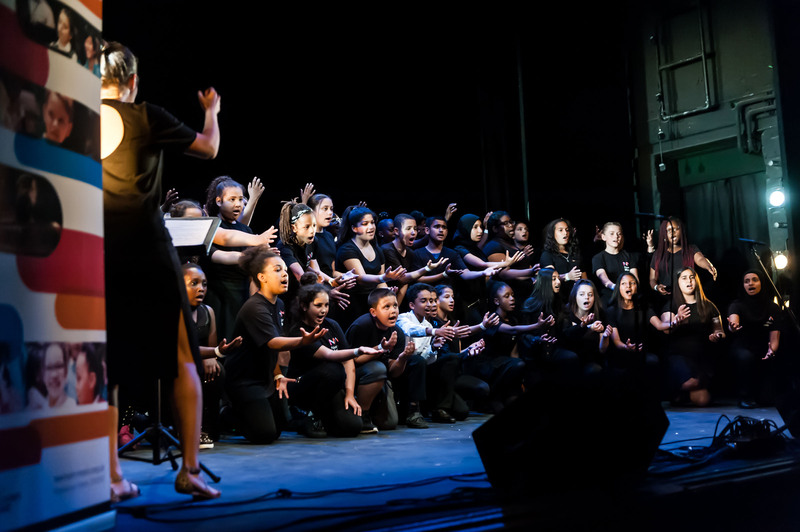 The massed ensemble performance will feature over 700 Newham children and young people singing, playing in the orchestra and band, and performing spoken word narrations which were all created throughout the life of the project. Tickets for this exciting high-profile event go on sale in May. To find out more about the project and how to be a part of it email us on info@newham-music.org.uk.